Zak's Chocolate doesn't always have milk chocolate bars available to purchase. Like with the white chocolate, it's something you'll want to get when you do see it. And do you see this chocolate bar? Beautiful, isn't it? The clear bag allows you to see its pretty face, where a fun font and a cocoa pod smile out at everyone. And when you open up the seal? An aroma so rich and enticing emerges, with the creaminess of milk chocolate and a sense perhaps of berries. The chocolate tastes of cream on the tongue, then of cocoa butter. As it melts, a light citrusy pepperiness (like bergamot) emerges, followed by more creaminess. Everything grows warmer with more of that sense of richness from the aroma as you come to the finish. Is it what I'd expected? No, not really. Usually when companies like this do a milk chocolate, it ends up being a darker milk chocolate: after taking the selection of cocoa beans and the details of production of chocolate so seriously, I suppose they hate to lose flavor by "watering down" the cocoa with milk and sugar. This isn't like that, though. 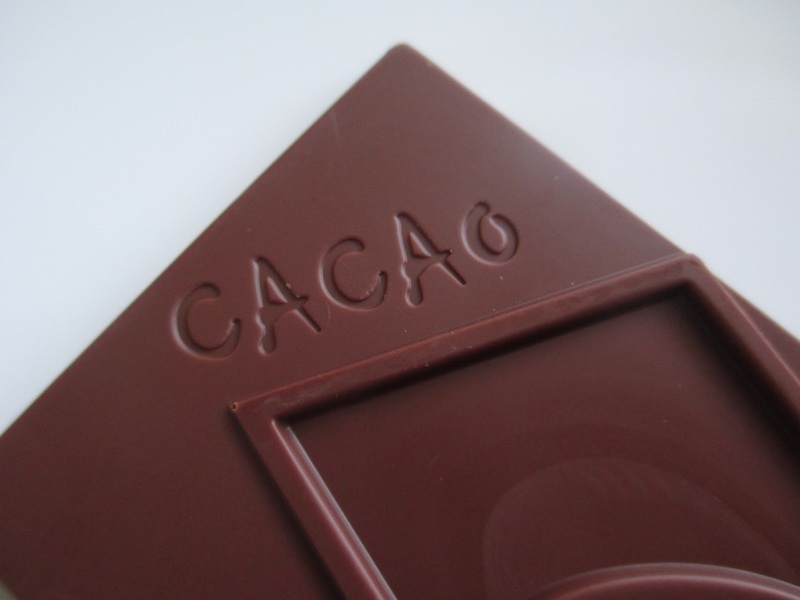 This is milk chocolate, and it isn't pretending that it isn't. Sure, there is richness to it, but mainly you have that traditional milk chocolate creaminess and more of the cocoa butter flavor than deeper cocoa flavors. So that is definitely interesting. 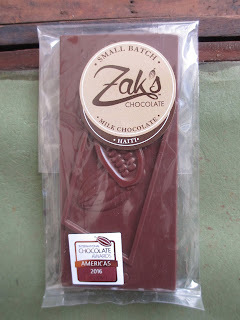 While I do enjoy this chocolate, I'm not as head over heels for it as I was for the white chocolate (which is also interesting) I also got at Zak's. This chocolate is good (yes, better than what I call the grocery store brands like Lindt and Ghirardelli), it's ethically sourced, and it's local for me. And all of that is sufficient: I don't need to be head over heels for everything. And as I keep stressing, we do need products like this. I enjoy a good dark chocolate, sure. 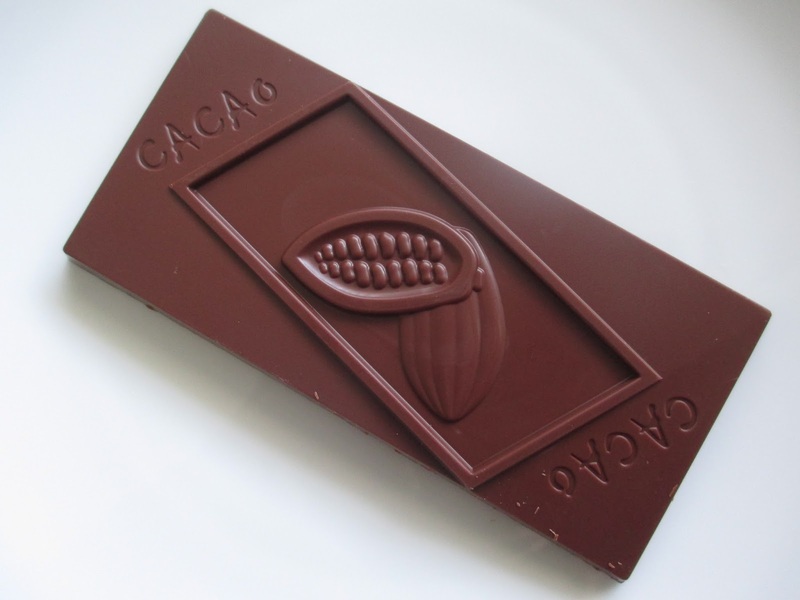 Cocoa origins and flavor notes, they're great--but the world needs good milk chocolate around, too.